As of January 1, 2015 Ana became a partner in FRSCPA, PLLC. She is a graduate of the University of South Florida’s College of Business Administration with a Bachelor of Science Degree in Accounting. Ana became a Florida Certified Public Accountant in 1992. Throughout her employment with the firm, Ana has gained extensive experience in the fast food franchising area, specifically working with McDonald’s franchises and their owner/operators. In addition, she has a diversified background with a variety of related software programs. 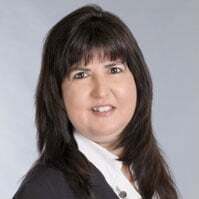 She is a member of the Florida Institute of Certified Public Accountants and is a Certified Sales Tax Auditor. Ana is a frequent author on Sales Tax, Department of Revenue Compliance and other taxation related topics. Ana was employed with the firm from 1990 to 2003, when she left to help her husband start his business. She returned in 2007 and became Firm Director in August, 2009. Ana volunteers as Treasurer of Countryside High School Drama Boosters. At present, she lives in Safety Harbor with her husband, Andy, and their children, Liana and Sarah.